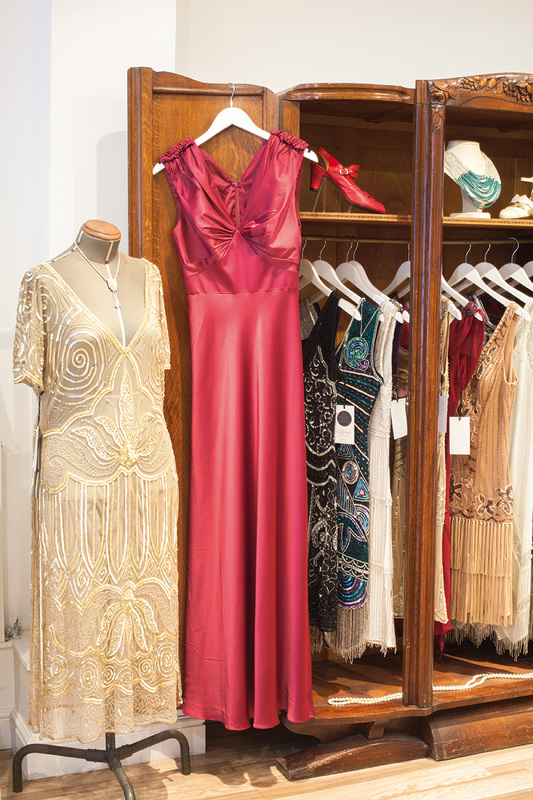 Heading to the quirky backstreet’s of London’s Fitzrovia, I popped into The Revival Retro Boutique to chat to it’s owner Rowena Howie about the history of the shop and her approach to both the products and the experience she offers her retrospective clientele. When and how did you first begin? In 2009 I was in London, and had taken up swing dancing as a hobby, and I tried to order a pair of swing dance shoes on the internet. I ordered the wrong size, which was really annoying, especially as they had shipped from the states so it would be expensive to return them. On top of that I was shocked at the import taxes I had to pay. It was not a good experience! I was so frustrated. I much prefer good, old-fashioned service and I decided that if nobody else was providing that then maybe I could? 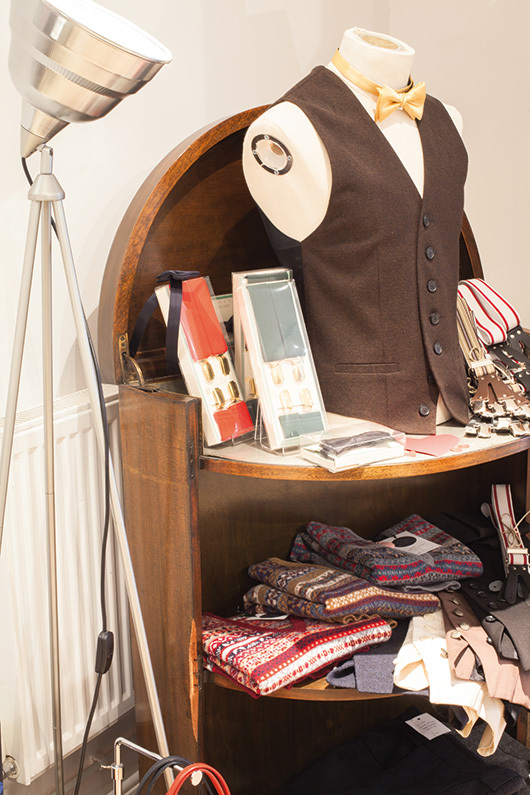 We have a lovely shop in central London, tucked away on the leafy backstreets, near a busy Oxford Street. 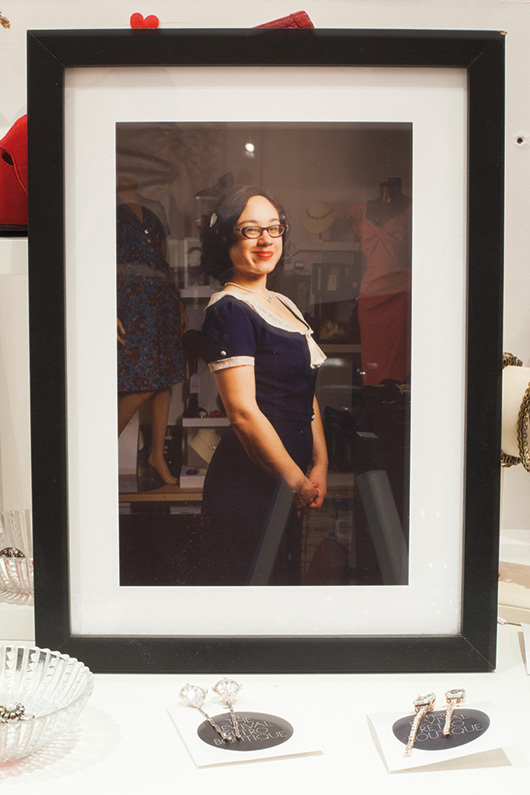 Our customers are no longer just vintage enthusiasts and dancers. We have a huge variety of ladies who love our edit. It’s classic and elegant, and it’s nice to offer something special and different to what’s available on the high street. What first attracted you to the world of vintage? I’m a sucker for old Fred & Ginger movies! Swing Time and Top Hat are my favourites! ‘Everything backwards and in high heels’ …that’s what I’m talking about! Power to the savvy, strong, sophisticated women in this world. I personally don’t choose to wear vintage to exist in another era, I choose fantastic style that fits me, suits me, and my lifestyle today. I’m inspired by beautiful bygone eras, and try to reflect this in our shop, and our ability to share this with women from every walk of life. Your tagline is ‘Revival Retro – The New Vintage Shopping Experience’ – can you elaborate? The meaning of this has changed for me over the years but it’s still very relevant. Originally it was because I wanted our boutique to be very different to a vintage shop. I didn’t want it to be crammed full, or cluttered with all kinds of stuff. I didn’t want anyone to have to rummage, and certainly not a whiff of mothballs! There were plenty of vintage shops to choose from if that was your cup of tea, but I wanted Revival Retro to be a different kind of experience. Of course it’s not just the shop, it’s the products too. Everything we sell is new and comes in a variety of sizes. 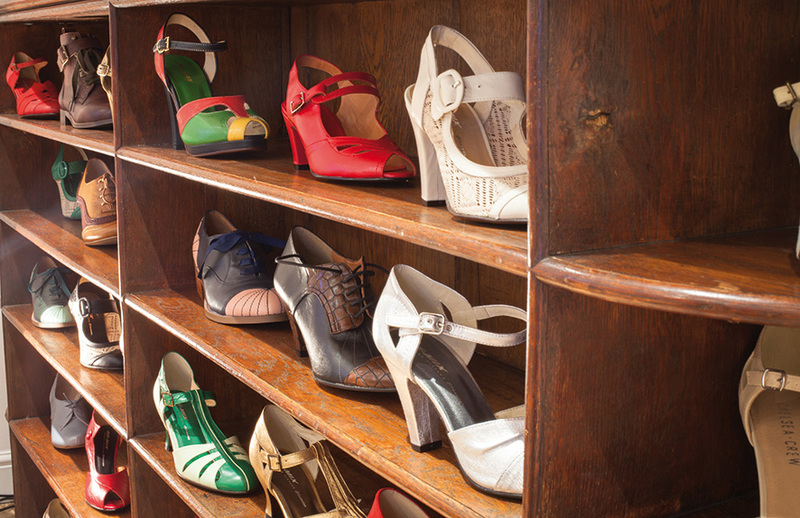 Being a woman with a bust, hips and big feet too, I found trying to shop in vintage stores was virtually impossible. Good quality 1940s originals in my size were rare and expensive finds, and it just seemed criminal to wreck my best ones getting hot and sweaty on a dance floor. For me personally, finding beautiful new vintage shoes that fit my massive size 8 feet was wonderful. It’s a wonder I haven’t put myself out of business with my hoarding of all my favourite new shoes! Then there’s the whole ‘experience’ of visiting Revival Retro. Customers come from far and wide just to visit our store. I mentioned before that I am a big fan of good, old-fashioned service. 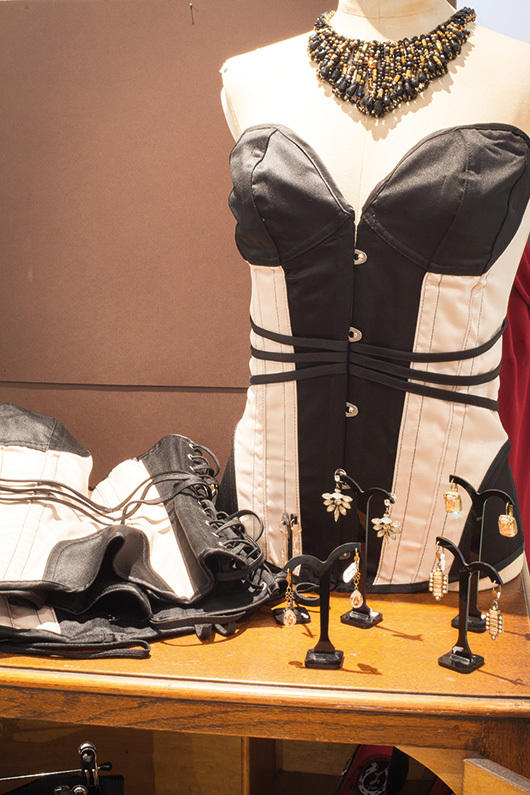 The experience you get in our boutique is remarkable and unlike anywhere else. Passionate, friendly and helpful women are here to help with your needs. We get to know you, and give you our honest, expert advice. We have such lovely, loyal customers that we now hold a monthly social and all go out for cocktails! Does your shop specialise in a particular era? Which is your favourite, can you tell us why you like this era? We specialise in the era of the Silver Screen. Essentially, 1920s, 1930s, 1940s and early 1950s. 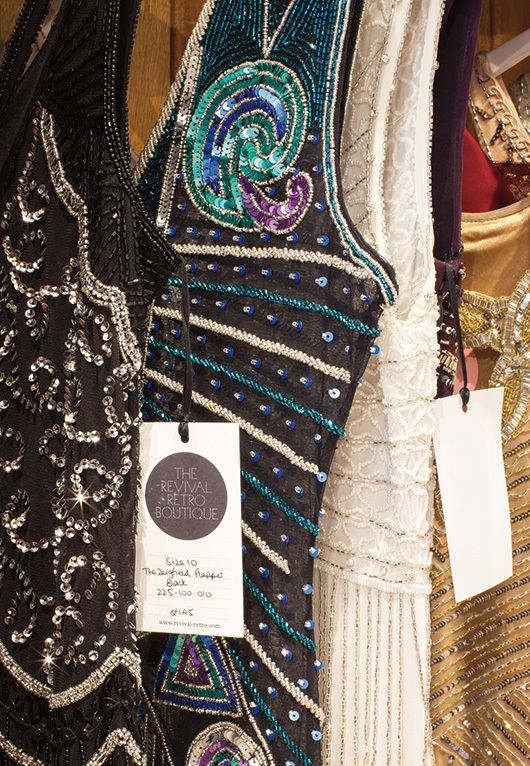 The 1940s is one of the most flattering decades for women, and people come from all over Europe to buy one of our beaded 1920’s dresses! Where do you get your inspiration for the collections? Those women exuded style and sophistication, and I love looking at old images of them off-screen as much as I love watching their on-screen appearances. Life these days is so casual. I take great pleasure in helping women dress for an occasion, or find their own sense of style. We look to our favourite women in the past for inspiration in the everyday. I travel the world in search of the very best quality and looks, picking and choosing only the very best from each supplier’s collection with these ladies in the back of my mind. 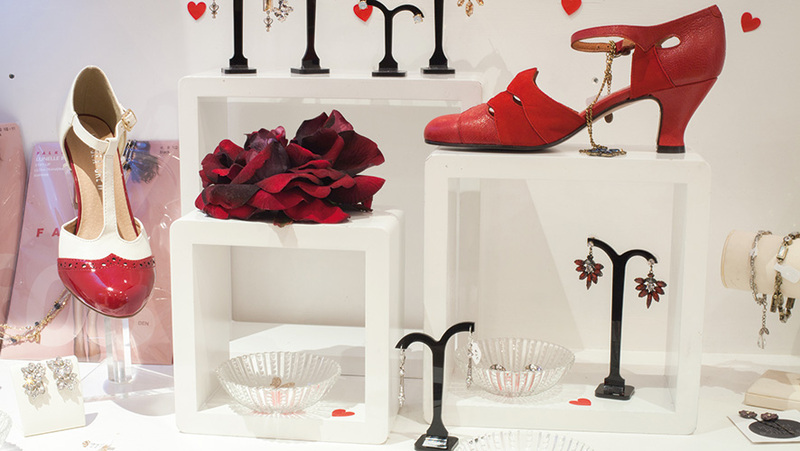 Have you a favourite piece from your collection? Why do you like this piece in particular? Gosh, so many! There was the stunning Bombshell Dress last summer, which I thought was particularly fabulous in the red rose floral. This is such a flattering faux wrap design and it’s nice to have a cotton dress for the summer months, but also one with a sleeve! What are your bestsellers at the moment? Our best selling shoe is our Balboa Shoe. It’s most popular in gold but available in other colour combinations. 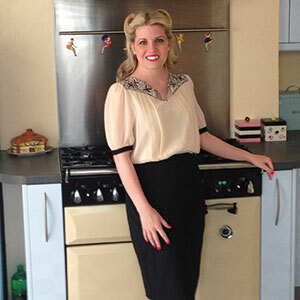 The best selling dresses for early spring are always our selection of ‘40s inspired dresses. They are so versatile to wear in the changing seasons, you can dress them up and down, and they are comfortable too, which a dress should be. Why do you think that the repro vintage scene has become increasingly popular? ‘Vintage’ has been so popular for so long that originals in good condition are increasingly rare and expensive. At the same time, ‘fashion’ has never been very generous to us ladies with curves. 1940s and 1950s style are certainly what many of us ‘real women’ gravitate towards for a more flattering fit. Plus, I think there is an undeniable romance about that time which seems lacking in modern society. How have you seen the vintage scene change since you initially began? That’s a Pandora’s Box! I think it has changed a lot, largely due to the fact that the term ‘vintage’ has been homogenised and taken on by the high street. If we’re talking about buying clothes in this ‘scene’, then I really think people should differentiate between antique, vintage original, second hand and retro a lot more clearly. Using the word ‘vintage’ is now shorthand for a particular feeling or idea, not a specific time, which can be difficult. It’s frustrating to see a lot of people banding the term around without much thought. We’re actually trying to cut down using the word vintage in store. We prefer the notion that things are timeless. Sometimes we may revive a design or idea from a particular era, but ultimately we are all about developing personal style, regardless of where that inspiration comes from. Binty Mustard is a primary school teacher with one foot firmly in the past. She is an avid collector of vintage pieces, filling her home with mid-century treasures and her wardrobe with ‘40s and ‘50s delights.